Registration is now open for the 2018 MEDLI Spring Meeting! The presentation will be covering the signs and symptoms of concussion, diagnostic measures, treatment and long term consequences. A short business meeting will follow. Dr. Adena Leder, Assistant Professor in Clinical Sciences and Director of Parkinson’s Disease Treatment Center, New York Institute of Technology. The 2018 Spring MEDLI Meeting will take place on Thursday, June 14th at New York Institute of Technology-Old Westbury. The speaker will be Hallie Zwibel, Assistant Professor and Director of Sports Medicine at NYIT/COM. His talk will be on concussions. More to follow in the coming months, but be sure to save the date now! Hallie Zwibel specializes in family practice. He is the team physician for NYIT as well as the director of its Center for Sports Medicine. Zwibel earned his bachelor’s degree from Binghamton University in 2007. 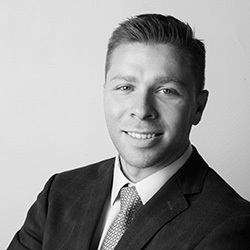 He received his Doctor of Osteopathic Medicine from NYIT College of Osteopathic Medicine in 2011 and completed his residency in family practice at North Shore-LIJ Plainview Hospital in 2014. During his residency, Zwibel completed the Training in Policy Studies and Physician Leadership Institute fellowships.